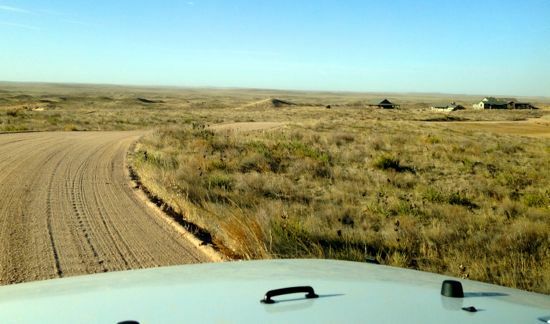 After my initial trip to Ballyneal to write the course review, I was overwhelmed by an intoxicating desire to return. My initial trip was done quickly and I only had time to play a single round. As I reflected on that round, and in the time since, the layout of the course and the experience continued to return to my thoughts. 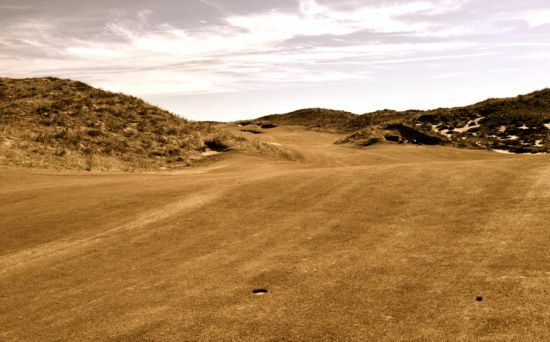 There’s just something magical about the playing grounds in Ballyneal. 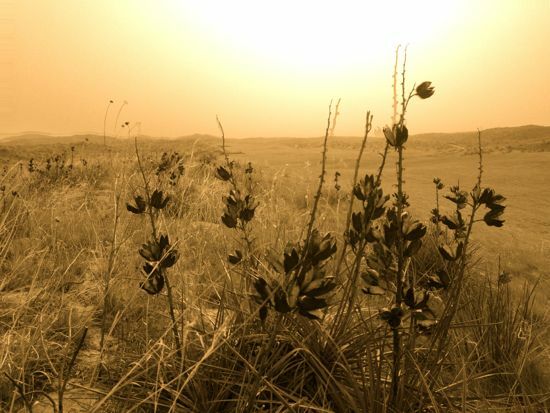 The opportunity recently presented itself for me to return to Ballyneal and to spend a bit of time exploring the grounds and to play a series of consecutive rounds over the weekend. During this time I was able to fit in 54 holes in various conditions, stay overnight at the property, and talk with the occasional member that came through to play. To start with, the weather was incredible. Although this was mid-January in far-off-reaches of Colorado, the weather was extremely fun and highly variable throughout my two days. On the first day, over a series of 36 holes, the weather was mostly in the mid-50s and the wind was absolutely roaring. Wind gusts exceeding 50 mph greeted me and provided a few rounds of absolutely insane golf. Regardless of the after-effects of wind-burn, playing in these extreme conditions amplified the ground-game and did a wonderful job of forcing me to pay attention to the tremendous amount of ground movement on the site. The experience of playing under these conditions on this particular course was amazing. When you strike a pitching wedge perfectly, watch it hover above the green, and then see it boomerang back to net 15 yards – you realize quickly that you have to be creative in your shot selection. 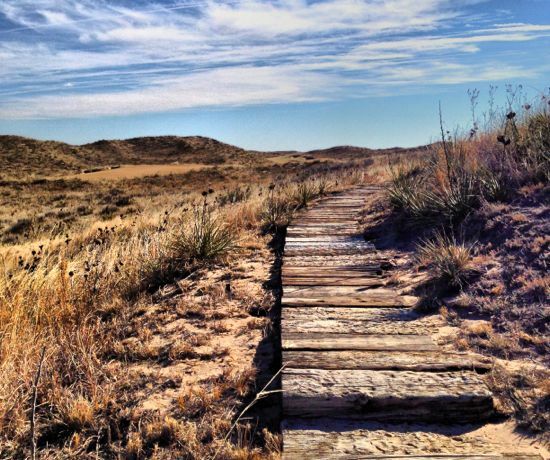 And Ballyneal is a great course to get creative on. My final day at Ballyneal saw the wind taper off significantly (to a steady 15mph) and the temperatures rise to the low 60s. While the conditions were significantly different, the fun remained and my on-course strategy shifted appropriately. In retrospect, the difference in my required approach to the play was incredibly different. Having this variety in playing conditions resulted in about as much fun that you can have on the same course over two days. Revisiting the course opened the aperture on my view of the architecture of the course. 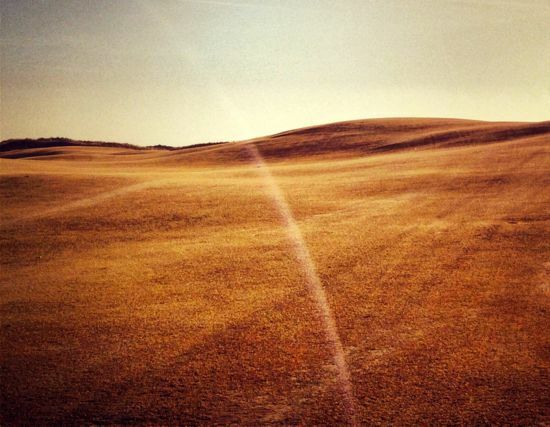 I’ve always struggled to name my absolute favorite course, and although I’m not sure that I would place Ballyneal at the absolute top of that list, it’s clear that the course easily sits within the top five, and likely even in the top three. 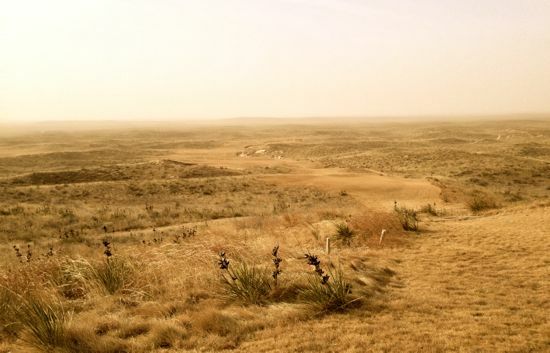 Tom Doak and Renaissance Golf Design have created a masterpiece and the remoteness of the course only adds to the mystique that surrounds the playing grounds. There are plenty of subtleties of the course that I noticed in each subsequent round and I would expect that this would continue to be the case with prolonged play at the course. 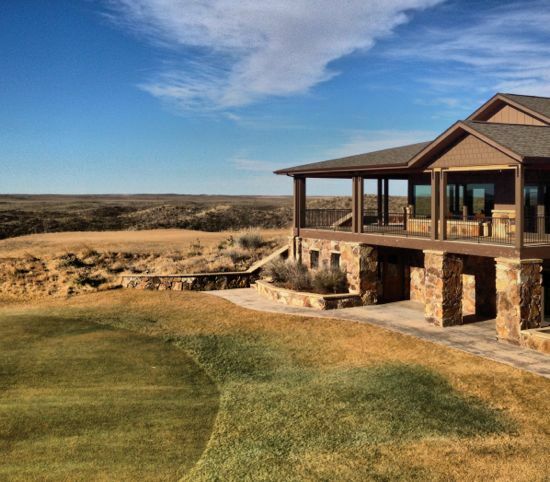 I can’t imagine ever getting bored of the layout at Ballyneal. The overall flow of the course is stunning. As you make your way around the course, time seems to disappear and the course seems to envelope you in it’s routing. Every turn leaves anticipation and an eerie sense of being somewhere otherworldly. The ability to immerse yourself in the movement and place of the course is significantly different than the typical golfing experience. The extreme undulations throughout the course are reminiscent of surfing a lone coastline in a far-off destination. Even with the wind whipping, there’s still a strong sense of presence and almost stillness in the landscape. I’ve yet to experience any other setting that is so powerful in embedded spirit. The facilities around the course are sparse and match the aesthetic of the course briliantly. Staying overnight in the facilities resulted in feeling the calming effects of seclusion. The lack of any pavement, the glow of the soft landscape lighting among the housing, and the closeness and brightness of the stars results in what feels like a true collaboration between nature and human intention. 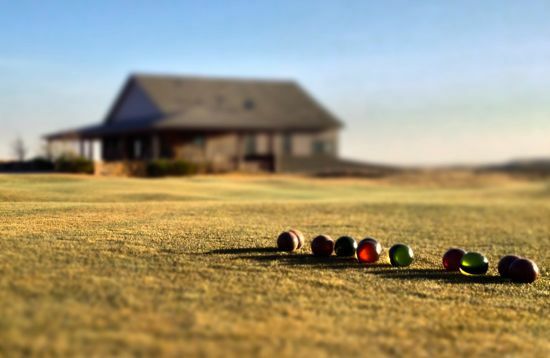 Even the rolling ground of the bocce ball court (which is easily mistaken as a large putting area) is unique and fits in perfectly with the surrounding area. One final surprise in my stay was the the diversity and selection in the library of books found throughout the common areas of the housing. 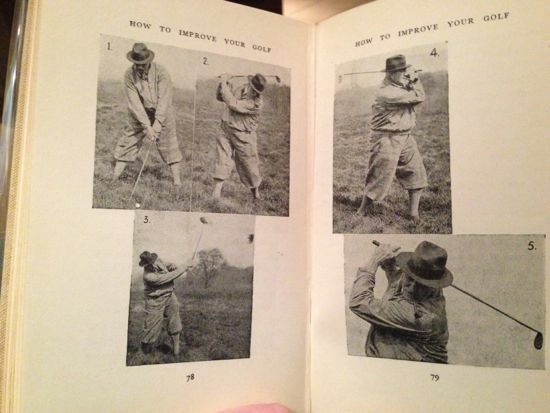 A collection of old golf books (many from the early 1900s) and classic golf literature (many of them inscribed with a note from the author) in front of the fireplace was a wonderful way to unwind at the end of the day. As I sat back to take in the rare texts I was accompanied by Bunker, the cat that calls Ballyneal home. Having this resort mostly to myself over a mid-winter weekend is something that will likely stay with me forever. Well, I’ll have to make it out there. Sounds like an awesome experience.